Well, here we are on the last part of my Christmas tour. Today I'm sharing the Kitchen, Master Bedroom & middle Hallway. It's funny, these photos reflect many changes we've made to our home. I have never shared those changes on the blog...yet. I really need to do an updated home tour. 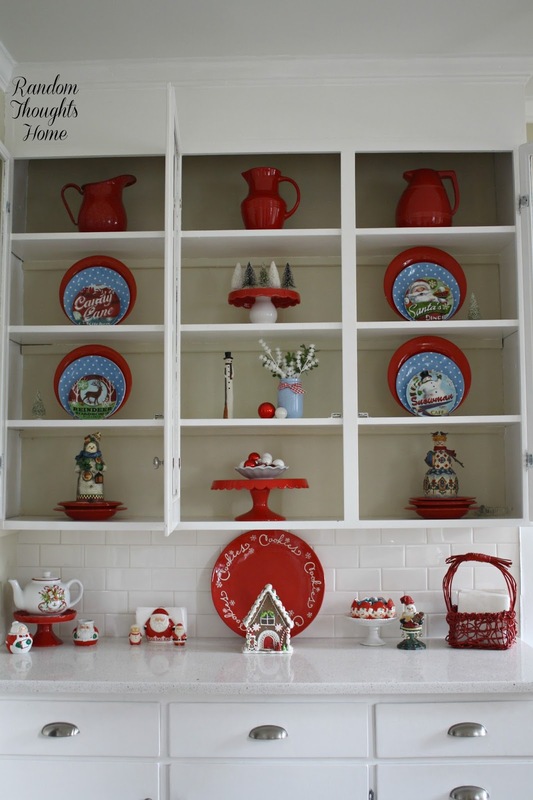 I love changing up the dishes in this cabinet. the sink a little something. 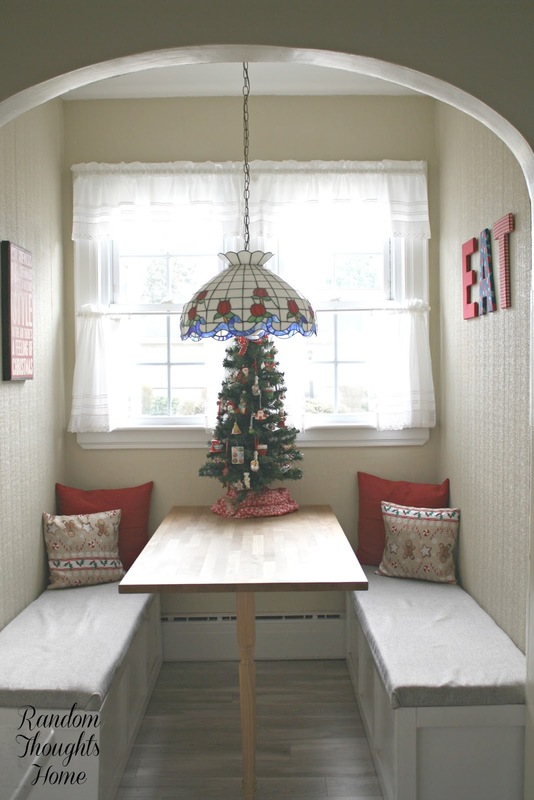 sits on the table in this nook. I like to add a little Christmas to the bedroom. 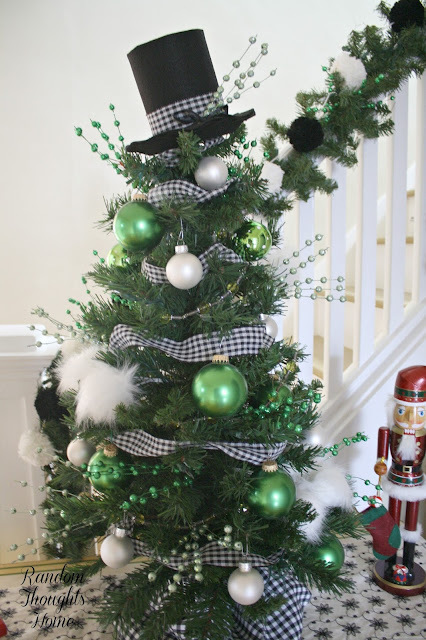 I'm so happy to have this tree in the bedroom. At night, it's so pretty all lit up. I had no idea how I wanted to decorate it this year. I had some green glass balls in my stash. ribbon would be a nice complement to the whole look. find a single topper I liked anywhere. I'm about to take on! Very festive!! Your kitchen remains my most favorite room of your home. It is always so homey and old fashioned!!! Merry Christmas!! Beautiful! Your kitchen is outstanding. That wall of cabinets is dreamy. You have it decorated so perfectly, I would just sit and stare at it all day! Oh, what a gorgeous kitchen...and I am IN LUV with your green and black and white I have used the same tree decorations for many many years...seems every thing on the tree has a special meaning that I just love. this year I struggled to get one up. 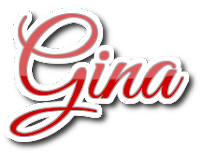 Hi, Gina! 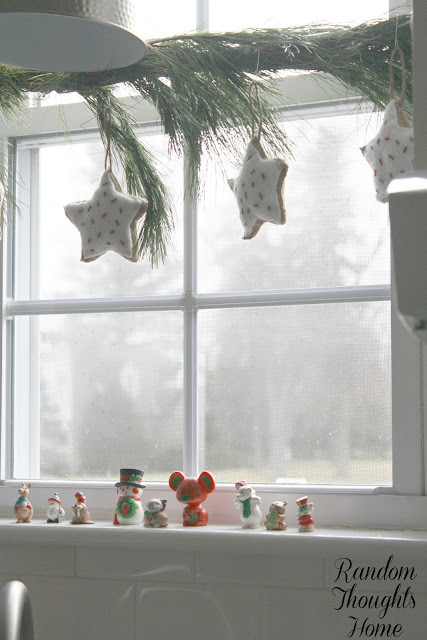 Your home looks so beautiful decorated for the holidays. I love every detail, especially all your pretty pillows. 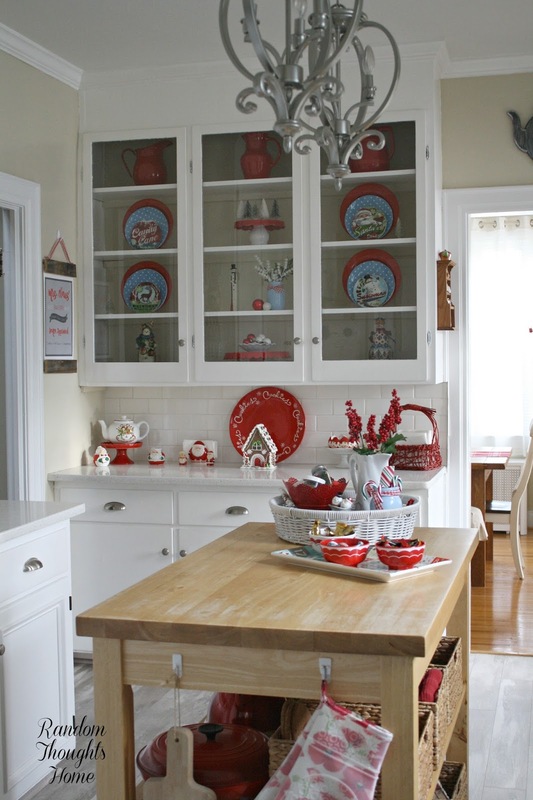 Your kitchen looks so pretty with all the pops of red. Merry Christmas! Gina, your home looks so festive and pretty. 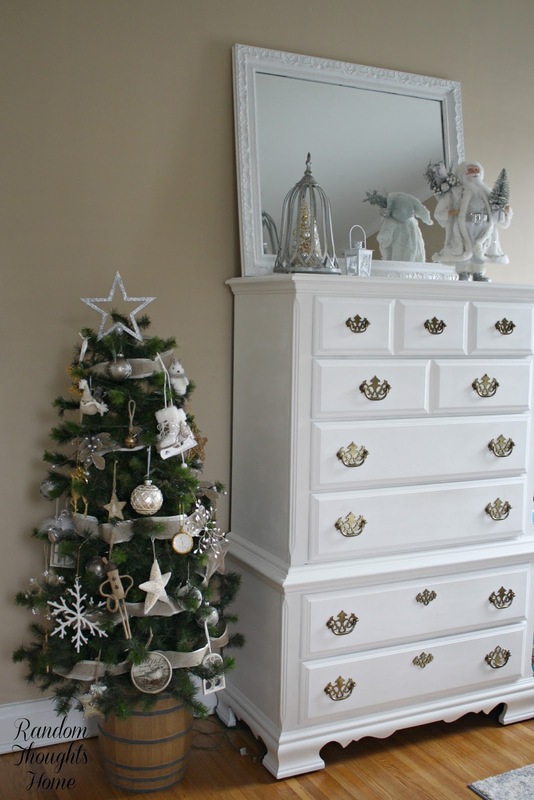 How sweet to have a tree in the bedroom. 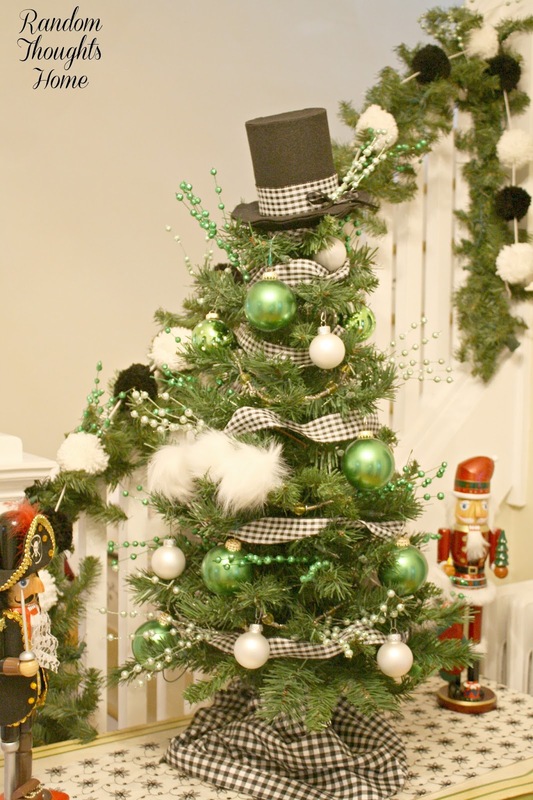 The green tree looks smashing with the top hat. Merry Christmas Gina. xo P.S. Thank you for your kindness regarding me losing my dad. perfection. Everything looks beautiful and festive. Merry Christmas.